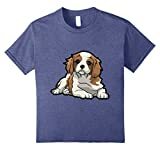 The food you feed your Cavalier King Charles Spaniel should be one of the top priorities on your dog-care list. Without a high quality, nutrient rich diet, your dog could suffer from a host of health issues, not to mention malnourishment. 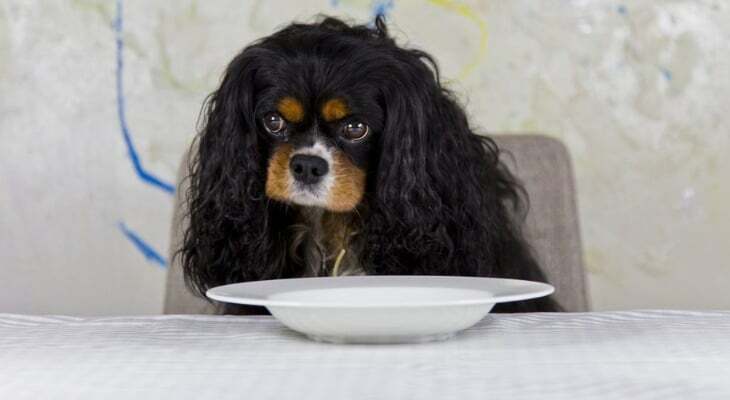 So what is the Best Dog Food for Cavalier King Charles Spaniels? Let us try and help you choose. Navigating the vast dog food world can be tricky. With the endless options of brands and food to choose from, making the right decision can seem next to impossible. With some guidance and research, though, you’ll be able to make the best, most informed decision for your dog’s nutrition. An adult CKCS at an average weight of between 15 pounds typically requires a diet containing around 500 calories per day. Of course, this requirement can change for a host of different reasons; your veterinarian should be able to tell you when to make adjustments. A growing puppy, on the other hand, needs larger portions of food in order to develop properly. Puppies weighing about 10 pounds need closer to 1,000 calories per day. Dry Food: If you’ve decided on dry food for your dog, make sure to follow specific feeding requirements for their size and activity level. Remember, this dog is a toy breed, and typically grows no larger than 13-18 pounds; buy the proper food for your dog’s size. Once you’ve checked that off the list, consulting your veterinarian and checking the bag’s instructions will be your next step. Typically this breed should consume about 1-1.5 cups of dry dog food per day (spread between 2 meals). Of course, every dog is different, so take the necessary steps to ensure feeding the proper amount. Wet Food: Wet food is beneficial for a number of reasons, and if deemed appropriate for your dog, 1-1.5 cans per day, spread over two meals, is generally appropriate. Of course, consulting your vet is paramount to simply generalizing. It’s also important to read the information on the food can carefully, as many brands differ in serving sizes and nutrient density. Occasionally, your dog may need their diet adjusted. If your CKCS is putting on or losing a noticeable amount of weight, it might be time to switch foods or change serving sizes. Ideally, you should be able to feel your dog’s ribs when touching them, but they shouldn’t stick out prominently. They should also have a noticeable and defined waist, but not one that’s too narrow or thin. If you notice any changes in your dog’s appearance or weight, consult your vet; be sure to discuss nutrition and possible dietary alterations. Protein: This macronutrient is responsible for building and maintaining strong muscles. Especially in growing puppies, protein cannot be overlooked and needs to come from high-quality sources like meat. Vegetable sources of protein do not have the same nutrient profile, and thus might leave your dog’s nutrition lacking. The average size adult Cavalier King Charles Spaniel typically needs about 20% of their diet to come from protein. Run this number by your vet to verify your dog’s needs. Fat: Another important element in your dog’s diet, fat should also come from high-quality sources – not fillers. This macronutrient helps your dog’s body absorb vitamins and other vital elements that keep them healthy. Of course, fat also has over twice the calories per gram compared to protein or carbohydrates, so make sure to portion correctly. The average size adult CKCS should receive about 5% of their calories from high-quality fat sources. Again, consult with your vet to make sure this is right for your dog. Carbohydrates: This last macronutrient is another important aspect of your dog’s health, as their bodies use carbohydrates for energy. Carbs should come from vegetables, fruit, or whole grains in their food (think sweet potatoes, apples, or oatmeal) and not filler ingredients like corn meal, corn syrup, or sugar. The remaining percentage of your dog’s diet will come from carbohydrate sources. Check with your vet to confirm. Fiber: While fiber doesn’t fall into the macronutrient group, it is another vital piece of your dog’s nutrition profile. Fiber is especially important for digestion and absorption of necessary vitamins and minerals. Your dog’s carbohydrate intake should be partially made of up fiber. Vitamins: Just as humans need vitamins, so does your CKCS. With a well-rounded diet, your dog will receive most or all of its required vitamins already. However (especially when making your own dog food), you may need to add additional supplements to keep them healthy. Vitamins play an important role in your dog’s life by allowing their digestive systems and bodies to function properly. You should discuss your dog’s needs with a veterinarian to make sure they’re not lacking in any area. Dogs have a natural instinct to chew, which is where bones come into play. However, many human companions fail to realize the safety concerns regarding bones, whether manufactured or natural. One concern involved with giving your Cavalier King a bone is their body’s ability to handle the treat. Contamination or allergies are a real risk, and should not be taken lightly. More common concerns associated with bones is their ability to break apart into small pieces and end up swallowed whole by your dog. These bone fragments (which are especially easy to detach from natural bones) can end up lodged in your dog’s digestive system, which can require surgery to remove. While not typically as dangerous as bones splintering, treats should also be chosen and used with care. Generic bone-shaped treats that come in a rainbow of colors should not have a place in your dog’s diet. These bite-sized pieces are packed with filler ingredients that are of no benefit to your CKCS. Like their food, choose treats that are all natural, with real, single word, ingredients. Another alternative is to make your own treats. For a list of appropriate “human food” to feed your Cavalier King, check out our nutrition guide. Lastly, never resort to feeding your dog “table scraps” as a treat. Food that is not prepared specifically for your dog should never be eaten by him or her. The salt, seasonings, and oils that go into the food we make for ourselves can wreak havoc on your Cavalier King Charles Spaniel’s digestive system. Always be careful not to reward or accidentally give your dog scraps. Your Cavalier King has an easily disruptable digestive system, a range of health conditions and a body that requires proper fueling. We therefore highly recommend Taste of the Wild, Canine Formula as an excellent choice of Food. Packed full of Fish protein, this Grain Free Formula is also bursting with Fruit and Vegetables. It delivers highly digestible energy and antioxidants which not only keep your Cavalier active, but also help maintain a healthy diet. Following the guidelines here will keep your dog happy and healthy moving forward. ​We really do think Taste of the Wild, Canine Formula is a Fantastic choice for Cavalier King Charles Spaniels. 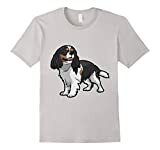 But please let us know in the comments what you think is the Best Dog Food for Cavalier King Charles Spaniels. Always be mindful of any changes you see in your dog’s appearance or eating and activity levels. Finding the right diet plan can involve some trial and error, but of course, every small change is worth its weight in gold for your dog. Remember to contact your Veterinarian if you have any questions or concerns about your Dogs food or diet.